Midge died today after a sudden illness. He’ll be much missed by everybody. Hello Percy here. It’s my turn to do a remember post about someone I didn’t meet. 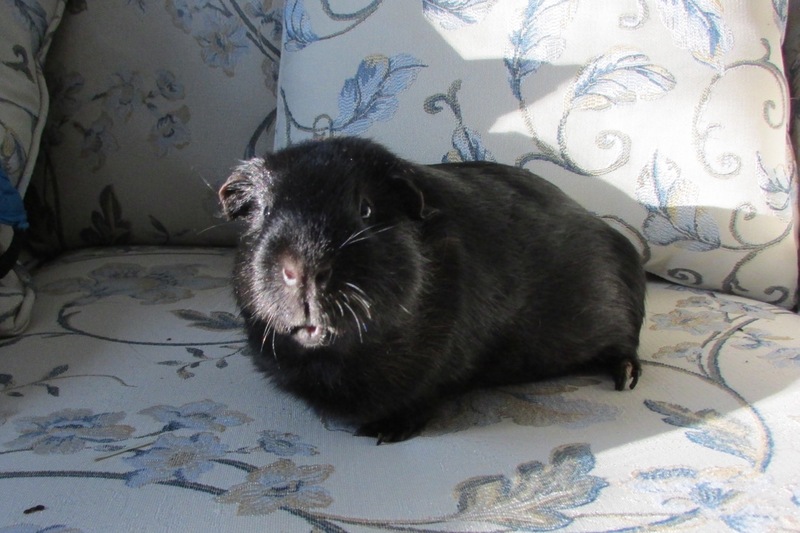 Yesterday it was three years since Humphrey went over the Rainbow Bridge. Midge and Oscar arrived a few days later so they never met him either. Humphrey was a sheltie type of guinea pig, with long, flowing hair, not like Dylan, Dougall and Neville’s because they are Peruvians, with long hair that has a number of whorls or rosettes in it. It means Humphrey looks smooth in his photos. Mummy think Roscoe has some sheltie in him, as he has medium length hair, but it doesn’t really show. She says it’s maybe one reason he reminds her of Auntie Dawn’s Saku. I never met Saku, either. Shelties are known for their calm, laid-back temperaments, and Humphrey got on with everybody, even Hector. Like Roscoe and Neville, Humphrey and Hector were left all alone in their house when their owners moved away. Fortunately for Roscoe and Neville, someone found them quickly, but Humphrey and Hector were starving when they were found a month later. Humphrey was always very grateful that Mummy was his new Mummy. He used to look at her as if he couldn’t believe his luck. I know what that means. 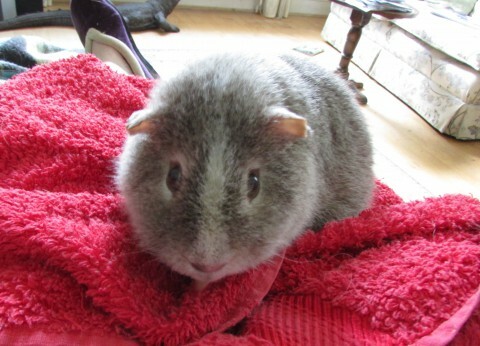 Humphrey started getting very thin, although his body was still fat and his weight was fine. Mummy took him to the vet a few times, and eventually the vet found a lump growing inside him. It was too large to have an operation, and he died the next day. He had a very peaceful ending. He was a very peaceful person. I’ve been told all this by the piggies that went before me. Everyone liked Humphrey. He’s in the picture on the front page, lined up with Victor and Dylan and Dougall. Victor lived with him until he died earlier the same summer. Mummy’s been watching my lump carefully. She says Dr Sally and she have decided to let me have an operation on it Wednesday fortnight. I think I’m looking forward to it, sort of. I’ll tell you all about it in afterwards. I’ve got another post to write before that, though.